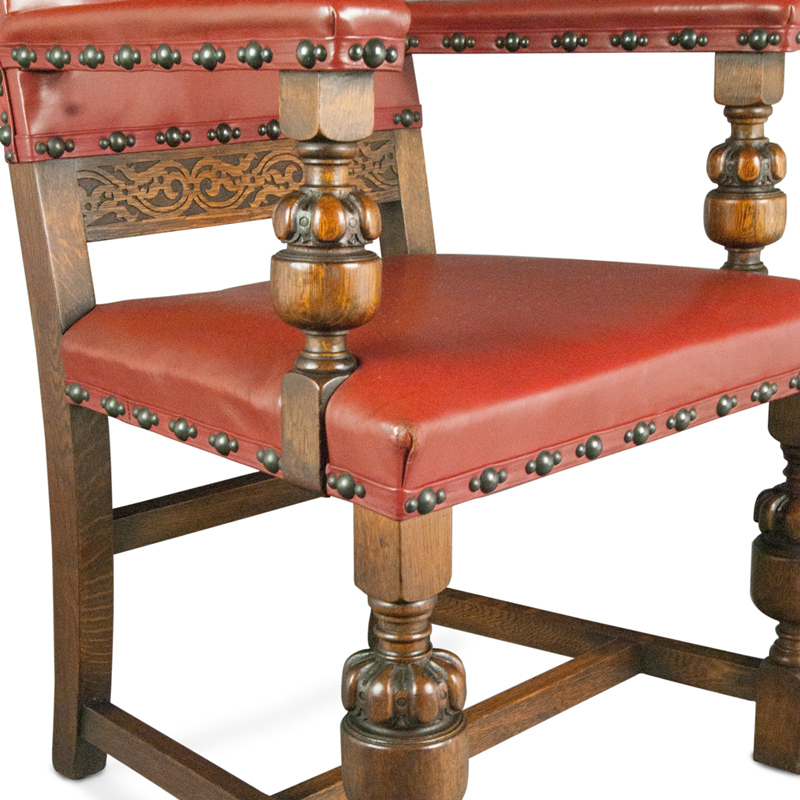 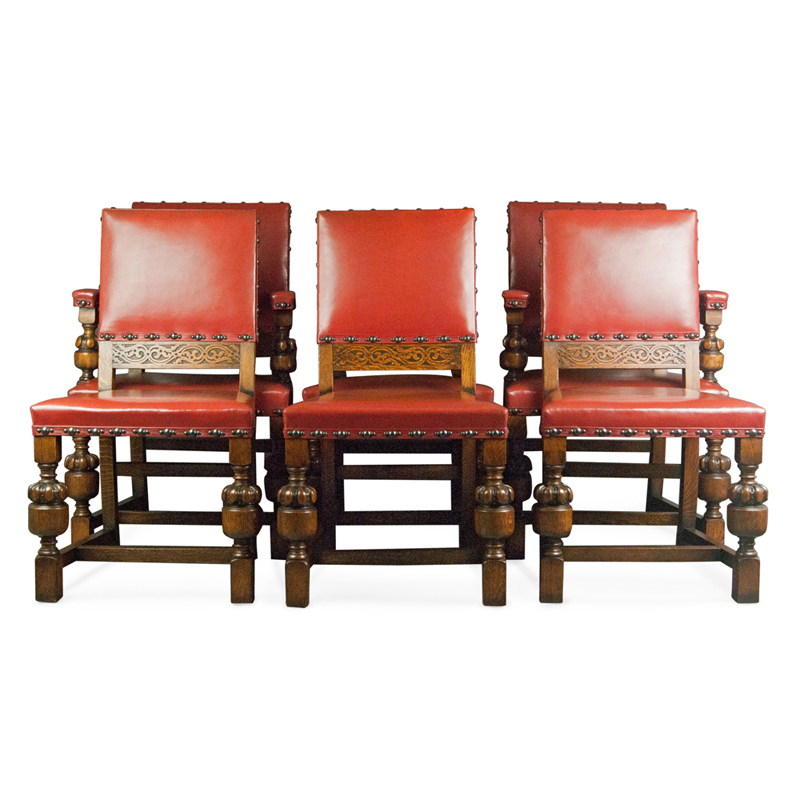 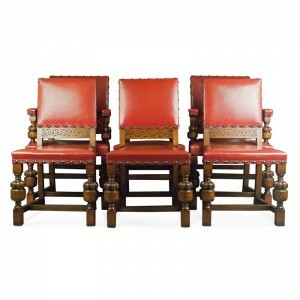 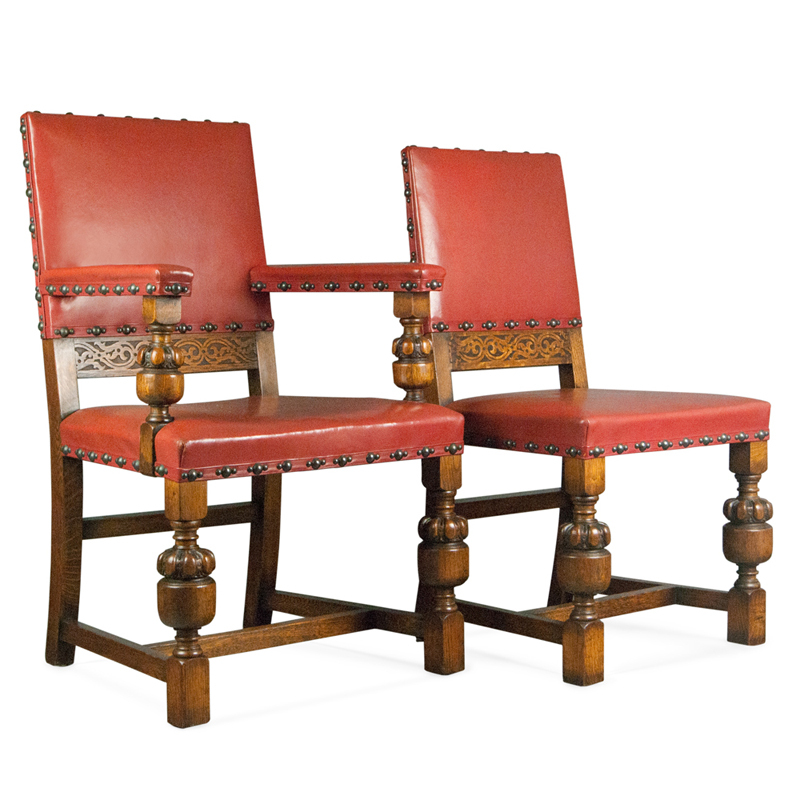 A handsome and fine quality set of six (four standard and two elbow) oak dining chairs in the Commonwealth style, having leather upholstered backs and seats, tracery carving to the backs, and turned ‘cup and cover’ supports. These chairs are in excellent and extremely clean original condition, with no breaks or other structural issues. 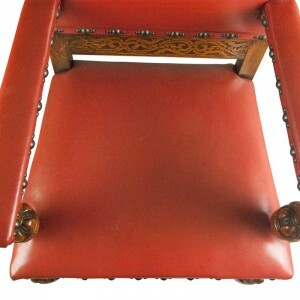 There are some extremely minor marks to the upholstery, but nothing serious and certainly no tears. We believe the photographs are representative.